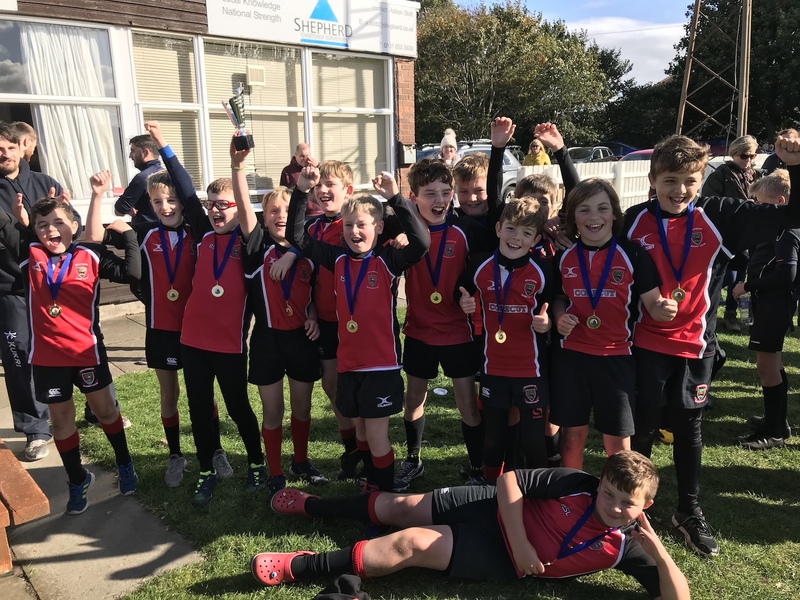 This week saw our squad head down to Musselburgh for their annual festival of rugby. This has always been an enjoyable trip with East Lothian being the home of some very competitive teams, and this year was no different from others. We started out with an opener against Biggar who were a difficult team to play against. We’ve met in the past and they are very quick in the ruck and move the ball around extremely well. We’ve worked hard with the squad for the past few weeks to install a sense of urgency and (mild) aggression in the team. We’ve been in a load of games this year where we’ve played all the rugby but it’s ended up close, and that’s been down to a passiveness when we’ve not had the ball. Well that was all solved for this game – the Wee Reds literally did not give Biggar a chance and they hounded them throughout the game to eventually run out 4-2 winners. It was genuinely our best rugby this year and set a real tone for the day. We went on to beat Musselburgh comfortably by 4 tries to nil, then beat Lasswade 5-1. In both games the boys kept the same ethos and tore into the opposition when we were defending. That approach opened up so much space that our runners were able to capitalise on time and time again. It’s such a tremendous feeling to see the boys build and build in confidence as the day goes on and when we met Dunbar in the final game they were on a real high. This is a Dunbar team that we met a few weeks back and they rampaged through the North Berwick tournament only conceding one try all day. Well this was a different day…. our boys were superb and again put so much pressure on the opposition that they were unable to play their game. We ran out 4-1 winners and deservedly so! That meant that the Wee Reds ran out winners today! They were superb with the ball, they were relentless with it and most importantly they had fun and came together as a solid group. They should be rightfully chuffed with themselves.